Clever video from the people at Sustainable Health Enterprises! New Kiva Loan: “Shining Stars”! Today I made my 5th microloan through Kiva.org! 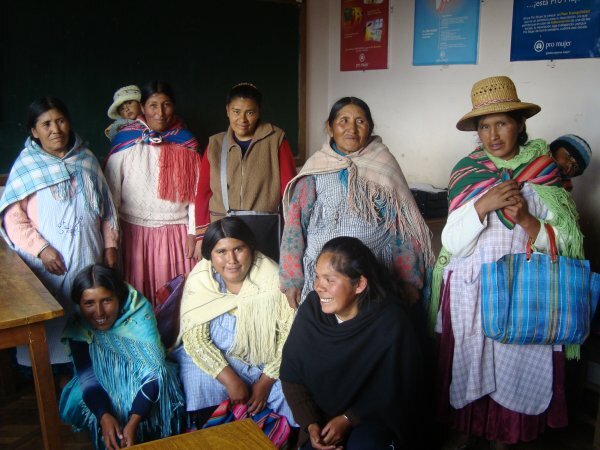 My $25 loan will be combined with 39 others to help a group of 8 Bolivian women known as the “Brillantes Estrellas” (“Shining Stars”) boost their entrepreneurial ventures: “They sell food, braid and weave blankets, have a grocery store, sell vegetables, make sportswear, and sell coca. The International Museum of Women‘s Economica project “explores the many facets of women’s experiences of and contributions to the global economy.” Their current exhibition focuses on Latin American women, particularly in Mexico, Costa Rica, and Argentina.